In just a little over a week (September 19th, to be exact), Doctor Who will be gracing our screens again, giving us a legitimate reason to stay in on Saturday evenings. And while the show is great on its own, it’s even better with some themed candied popcorn! 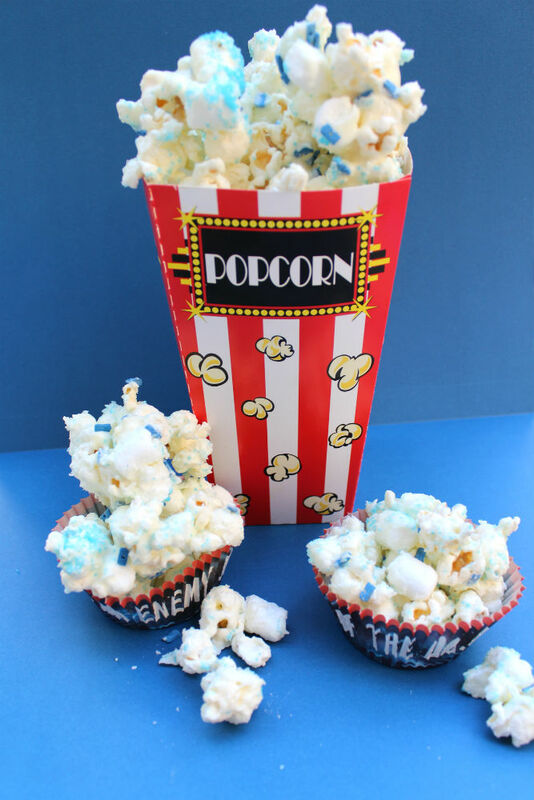 Mix the popcorn and the “adipose” (mini marshmallows) together, and place on a wax paper covered baking sheet. Melt the white chocolate chips in 30 second increments in the microwave, stirring between cycles. Continue until chips are fully melted. Pour the melted white chocolate over the popcorn and marshmallows. Mix until evenly covered. 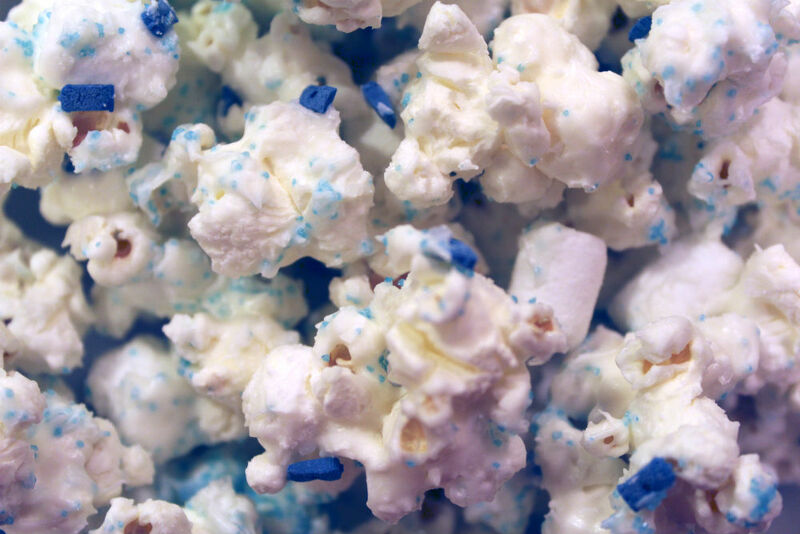 Scatter the sprinkles and sparkling sugar over the popcorn, gently mix to evenly coat. Let cool until chocolate is hardened. Eat it by the handful or put it in cute little party favor bags for guests. This recipe can easily be adapted to include other candies or types of sprinkles as well! Need some sprinkles to make your candied popcorn? Use code “TIMEYWIMEY” when checking out between today and Wednesday to receive 12% off your order AND free priority shipping! I’ll get those sprinkles to you before the premiere!